This news item was posted in Business category and has 0 Comments so far . As any good, internet-savvy friend would do, I set out to do research of my own and discovered MedCoffee. 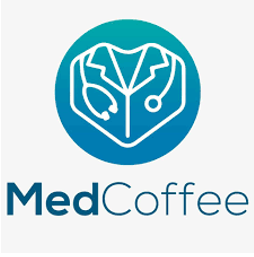 Both a website and a mobile app, MedCoffee boasted a bevy of certified medical professionals among its contributors and raving good reviews from aspiring medical professionals on its Facebook page as well. Said to be Pakistan’s first online medical education source for health professionals across globe, MedCoffee provides MCQs for every type of post graduate medical exam in both free and subscription based versions. Being the result of collaboration between the doctors and IT experts, it further stood out from the horde as such a thing is not very common in medical field. What really drew my attention was that each MCQ came with a brief explanation of its answer compiled by qualified professionals with local and foreign credentials and checked in two phases following its creation; if you still felt doubtful, you could even inbox them and get in-depth explanations from their expert panel. The MCQs are taken from FCPS-1, MD/MS/MDS and PMDC 1&2 past papers. Being a digital resource further provides the advantage of it being easily updatable unlike books with which you would have to buy revised versions to have the latest material. Intrigued and still not fully satisfied, I got in contact with the head of the site, Dr. Syed Ali Raza. Born in Faisalabad on 1986, he did his MBBS from Punjab Medical College Faisalabad in 2011. He completed MRCP(UK) from London in 2016 followed by FCPS Oncology in 2018 and is currently working as a Cancer Specialist at Jinnah Hospital, Lahore. Here are some of the questions I asked him and his responses. Q: What difference is there between the free and paid versions of this site? Q: How well does this site cover prep material for medical exams and are there any branches where you feel it is lacking? Q: Would you recommend relying solely upon this site for preparation? I immediately shared this with my friend and have as yet only heard good things and sighs of relief from her. Providing an efficient and reliable source, MedCoffee aims to not only test you, but to also teach you.